We offer a full range of property management services tailored to you as an investor, homeowner, or landlord. 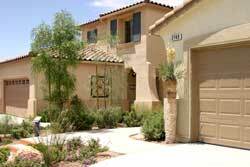 We have an extensive portfolio of single family homes, townhouses and condos in the Buda area. We offer a turnkey solution for property owners with cloud based systems that are accessible 24/7. We take pride in the properties we manage and maximizing our landlords’ returns on their investments. Our primary focus is managing and marketing investment real estate. Our staff comprises dedicated leasing agents that have their fingers on the pulse of the Greater Buda market. All properties are evaluated by our lead leasing agent and approved by the Broker prior to marketing for new tenants. When thinking of renting your home one of the most important questions you should ask yourself is: “Who should I have screen tenants for my home?” The answer is whoever has to communicate with the tenant once they are in place. We are very thorough in our screening process, because we have the relationship with the tenant after the dust has settled and the joys of moving into a new home have subsided. We perform a credit check, background check, employment and income verification on every applicant. Each landlord may decide whether or not to accept pets, but we as a management company do not allow for aggressive breeds. Buda is a very pet friendly town and most of our properties are pet friendly in some capacity. The town of Buda sprang up along the route of the International-Great Northern Railroad, which was extended from Austin to San Antonio in 1880. Buda bore the name of “Du Pre” from its birth in 1881 until the autumn of 1887, when postal officials became aware that another Texas town was also named Du Pre. Cornelia Trimble platted the town of Du Pre on April 1, 1881, establishing streets and a 150-foot (46 m) wide “Reservation” between the lots and the railroad right of way, which allowed the railroad to place buildings on the parkland, including the depot that would become the lifeblood of the town over the next few decades. Several businesses sprang up, including the Carrington Hotel, which served meals to railroad travelers. By the time Du Pre found a new name for itself, the Carrington hotel was being referenced as “the Buda House.” In the “Dupre Notes” column of the Sept. 25, 1886 edition of the Hays County Times and Farmer’s Journal, the author notes that “The Buda House is one of the best hotels in the state. The polite and entertaining hostess, Mrs. Carrington, meets all with a courteous welcome.” According to the town’s oral tradition, the name of Buda is a corruption of the Spanish word “viuda,” or “widow,” referencing the widows who supposedly worked as cooks at the Carrington Hotel. Others suggest that like the town of Buda, Illinois, the town name is a nod to the exiles of the failed Hungarian Revolution of 1848 who settled in the area.